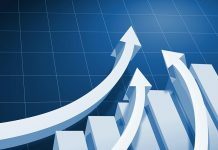 There is an old saying which suggests that in business if you are standing still then in fact you are really going backwards. At no point in its existence has the management of either the Toscana Italian or the Moom Talay Thai restaurants ever looked to just ‘stand still’. 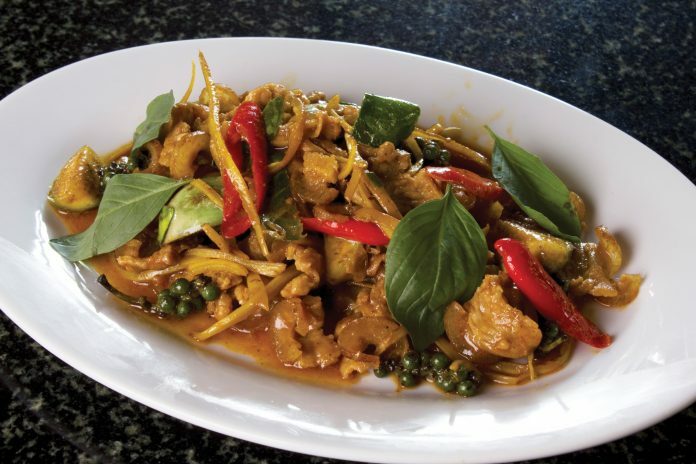 Late last year the Moom Talay Thai restaurant menu underwent a fairly ambitious makeover. 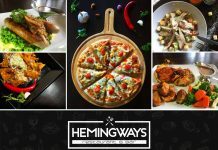 Apart from the standard elements of Thai cuisine which you would expect to be available anywhere and everywhere, they introduced a number of dishes which are rarities in Pattaya and elsewhere. One example is Spicy Lemongrass with Guinea Fowl. 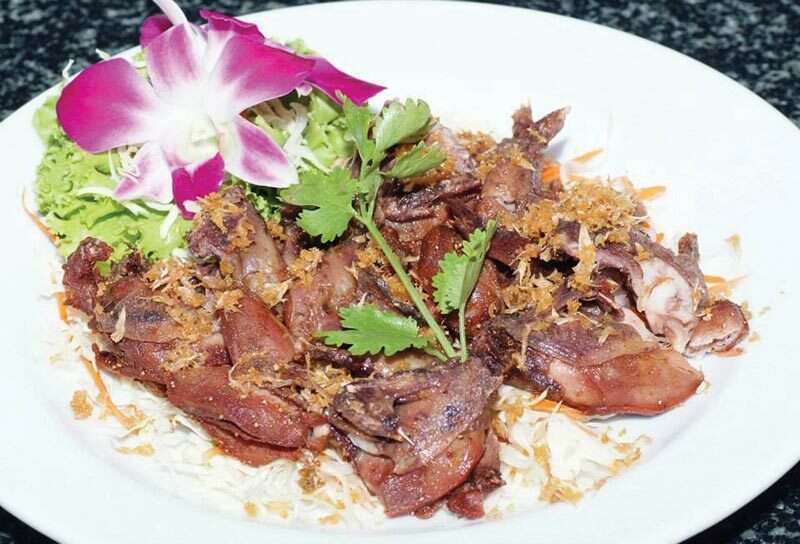 Another is Pot-Stewed Duck, or Quail, garnished with garlic and pepper. 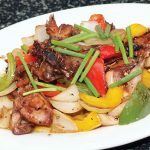 What about Stir-fried Quail with chilli paste (obviously a dish for those who like their food pretty spicy), or Stir-fried Wild Boar with chilli paste. 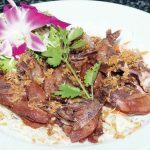 For holidaymakers who happen to have teamed up with a local Thai female or male, the Moom Talay restaurant is not just a great eatery, its close but very definite separate connection with the Toscana Italian restaurant offers the best of both worlds. While a Thai national, naturally, will want to partake of familiar Thai dishes, a foreign holidaymaker may decide he or she wants to try the same, but also wants the opportunity of having an each-way ‘bet’ as it were: maybe order an Italian dish, just in case the Thai food proves a little too spicy, or they aren’t quite as keen to dive into the Thai menu just yet. On that note it’s important to remark that both the Moom Talay and Toscana kitchens are well and truly separate entities. 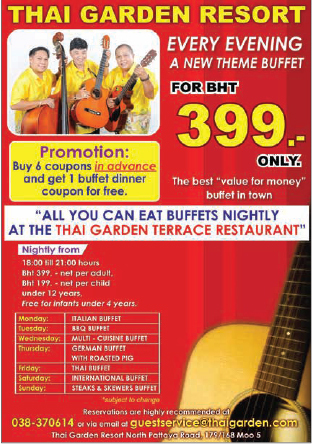 The Thai dishes are prepared exclusively in the Thai kitchen while the Italian dishes are prepared exclusively in the Italian kitchen; and never the twain shall meet. 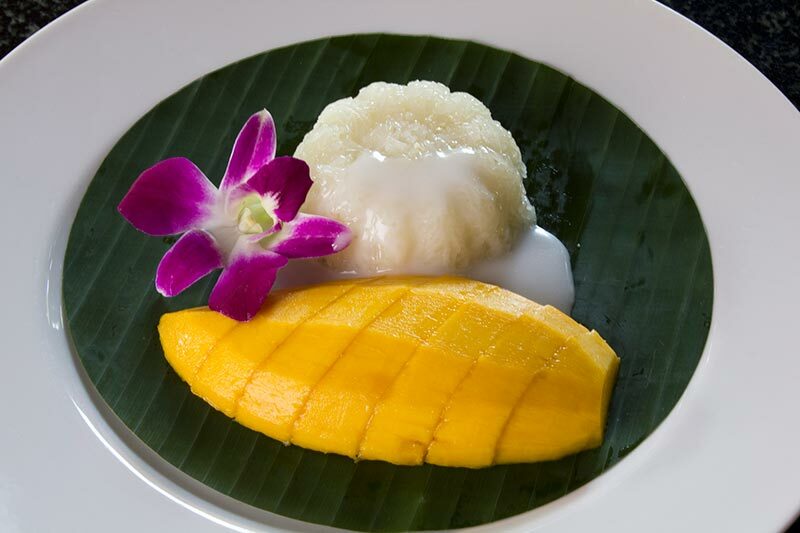 Moom Talay has so-called One-Plate Dishes which are far more traditional dishes, of the type you would find in the majority of Thai restaurants. Even so, most of the ingredients in these dishes are sourced from their own organic vegetable and animal farms, so the freshness remains. Most of the dishes include steamed rice and basil leaves with either pork, chicken or beef; fried noodles done Thai style in an omelette; or rice porridge with mince pork or chicken. 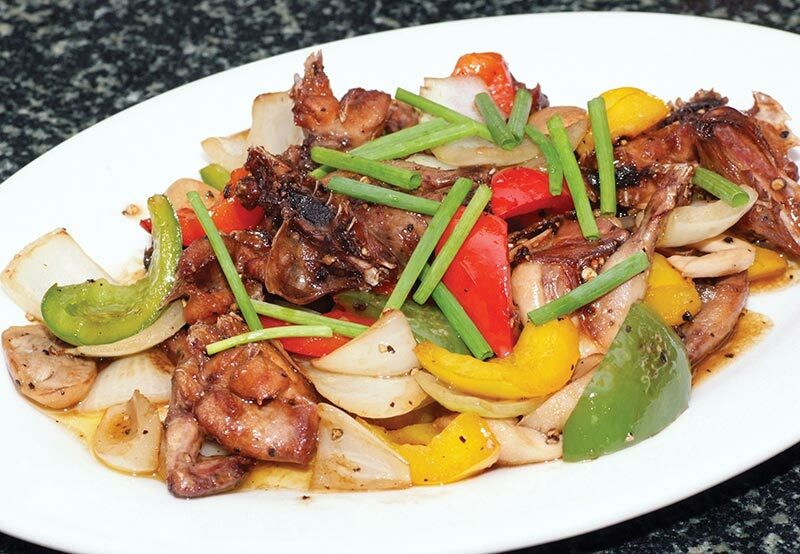 Stir-fried dishes include the ever-popular chicken and cashew nuts, fried mixed mushrooms in oyster sauce, squid stir-fried in egg yolks, beef in oyster sauce as well as sweet and sour pork or chicken, or, for vegetarians, fried mixed vegetables in oyster sauce. Soups, as both starters or mains, are well covered with dishes like spicy lemongrass with chicken, or prawns, seafood, or chicken, in coconut soup, or seafood soup with Thai herbs. On the deep-fried Thai dish front the variety is just as exceptional, although a perennial favourite among most Thai diners is sea bass cooked in garlic and pepper. The sea bass is purchased fresh each day from the local seafood markets. 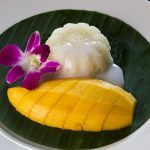 When it comes to the dessert menu, customers can mix and match as they like with choices of standard Thai-style desserts such as fruit in coconut cream, beans in hot syrup and the likes of sticky rice with mango or banana in coconut cream. or more general desserts, including mousse, semifreddi and gelati choices. Moom Talay offers the perfect choice for foreign-Thai couples to come and enjoy a mixture of dishes in enjoyable surroundings.